Providing retirement advice to federal employees can be a challenge because of the many details and complexities of the CSRS and FERS retirement systems. 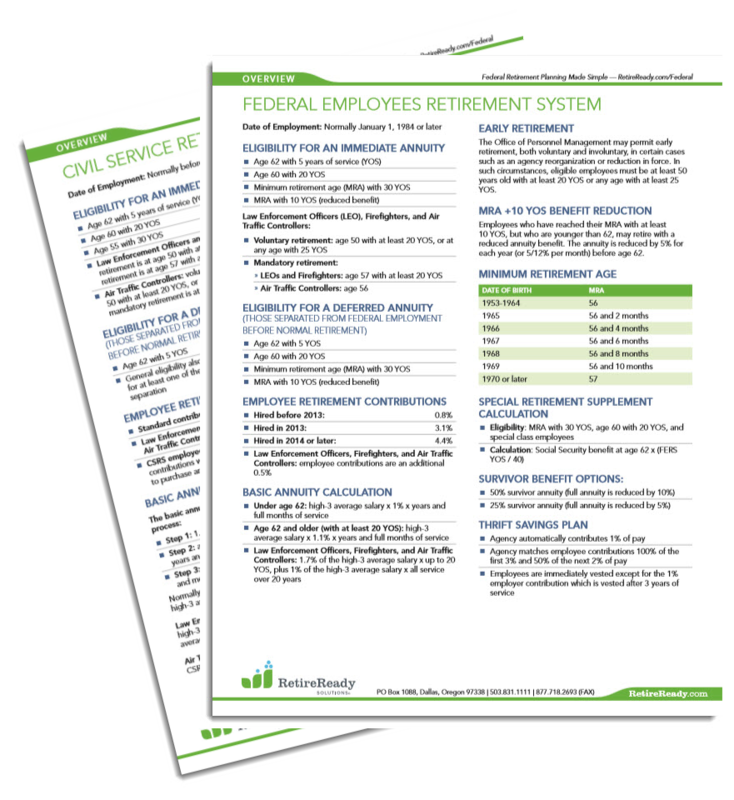 Looking for further help calculating all the benefits and putting together holistic retirement plans for federal employees? Check out our innovative solutions and start serving federal employees today!